Hello All, Happy Tuesday! 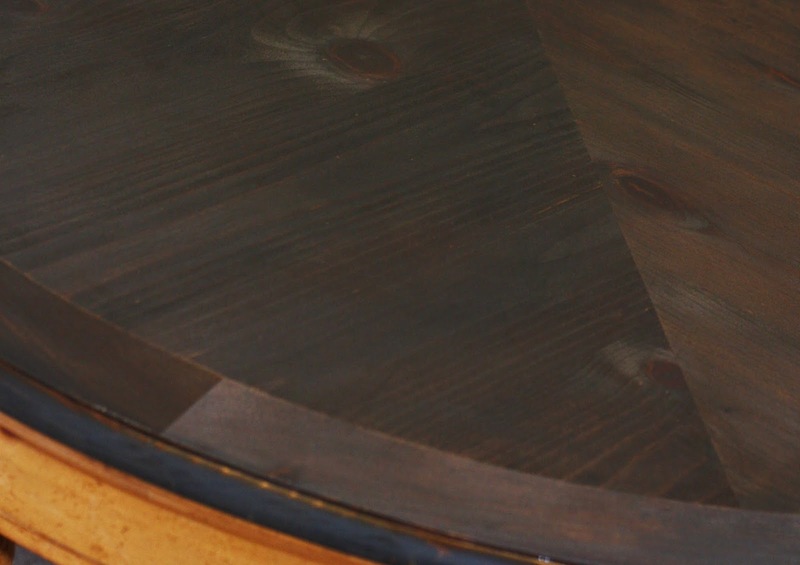 I have been working on my Dining Room Table for a couple of weeks now. We first bought our dining room table set back in 2001, when we first bought our house. We spent a lot of money on it, it has two leafs making it 90 inches long. Its also has 6 chairs. We love it a lot of but our kids have absolutely ruined it. It's pine wood, which means its super soft, and doesn't take much, add in toddlers you get one scratched up, and marked on table. As you can see this table need some major sanding. So my husband and I began sanding it with a 80 grade course sand paper by 3M. That's OK lets move it under the gazebo, and keep on sanding! After completely sanding it down we sanded it down with 1600 fine sand paper to make it nice and smooth. Ahh, doesn't it look so much better? Every knot showing, and noooo scratches, pen or marker marks, makes me one happy mama! So lets begin staining this born again table. I decided I wanted it a really dark brown. So we went with Espresso color by Mini Wax. and by the way the table on which the stain can is on, is not the same table. Just wanted to clarify that in case you liked or disliked that color. This is the dark rich color it made, which I thought was too dark. it started drying and became a much nicer color [insert relief] [insert happiness]. My dining room table set turned out absolutely beautiful! Come back later in the week to see my the rest of the process and the final reveal. (which is tomorrow for Worthwhile Wednesdays, lol). Looking nice! I bet that was a lot of work though sanding it down. 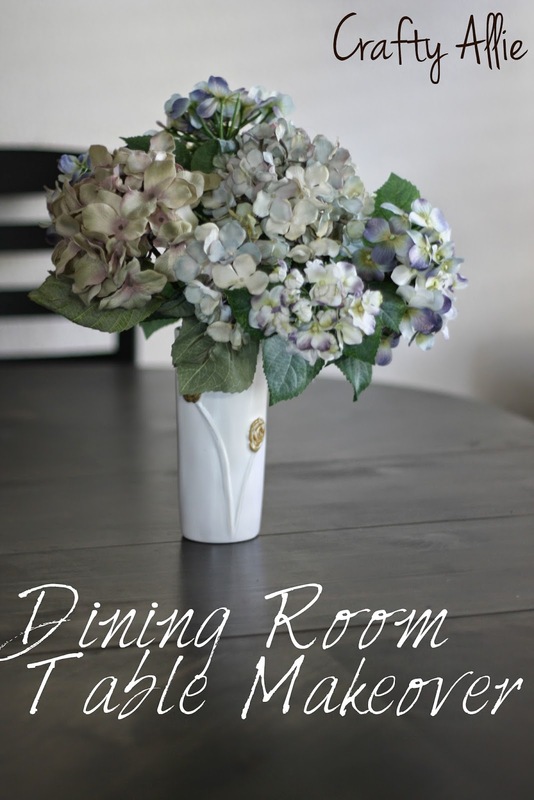 I have a kitchen table that could use a redo, maybe I will give this a try! Did you sand down the legs as well or do I have to wait for part 2? Looks great, its amazing what a bit of sweat and hard work can create! you did a lovely job. thanks for sharing. Your table turned out gorgeous! Thanks so much for sharing it with us at Show-licious Craft and Recipe party! Pinned! Gorgeous table! Kids are hard on furniture! My kitchen table will need a redo in a couple of more years. Thanks for sharing via Family Fun Friday. Gorgeous, such a pretty table and great makeover. I hope you and your family have a very Blessed and Happy Easter. Thanks tons for linking to Inspire Me. Can't wait to see the final post on your project! I chose this as my featured blog on From the Farm blog hop! Hope to see you again this Friday. Love a good furniture redo Allie, can't wait to see the reveal !